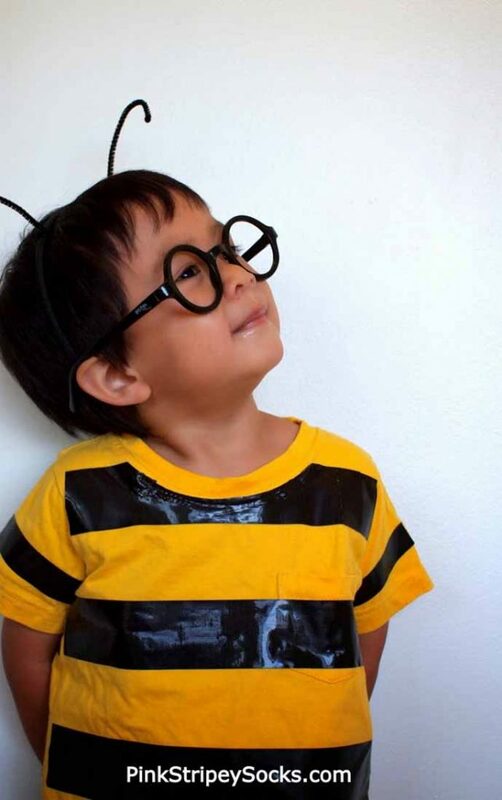 Make these easy school-friendly last-minute Halloween costumes for kids, and you’ll see that even cute and creative costumes can be made on a busy schedule! Does Halloween always creep up on you before you’re ready for it? Sure I always start the school year thinking I’ll have plenty of time to make some awesome Halloween costume for my kids, but then life gets in the way and we end up scrambling to pull together a costume at the last minute. 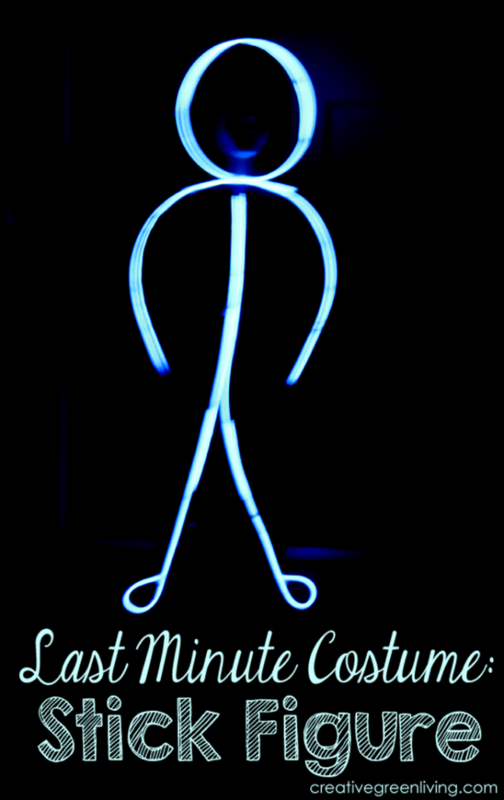 Thankfully, there are some awesome last-minute Halloween costumes out there. The only problem is that most aren’t actually school-friendly Halloween costumes. Our kids’ school has some fairly strict guidelines on what is and isn’t allowed for Halloween costumes, which is great, but can feel pretty restrictive. And half the fun for kids is having a costume they can show off during the school day. 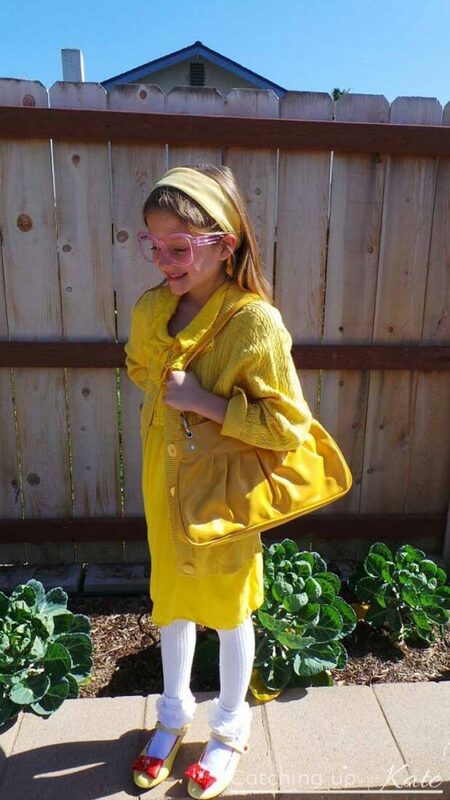 What makes a school-friendly costume? No masks: Children can’t always see well through masks but it’s also because they become a distraction during the school day. No face paint: Okay, so this is more my rule. If the kid is old enough to put it on themselves, then have at it. But I don’t want to mess with face paint when we’re rushing to get to school on time. Not to mention, the tears that will result when it inevitably gets smudged. 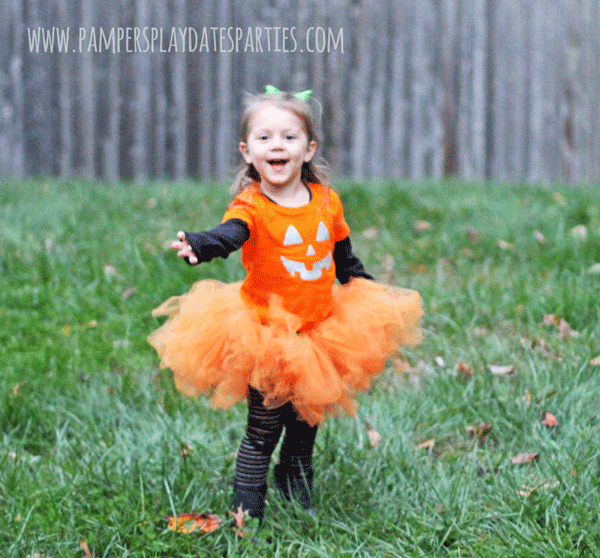 Easy to Move in: So many adorable costumes just aren’t practical for all the different activities during a school day, like sitting during class or running around on the playground. So we avoid costumes that have anything attached to the back or are too bulky. I know, that list seems awfully restrictive, doesn’t it? But it’s not that bad. 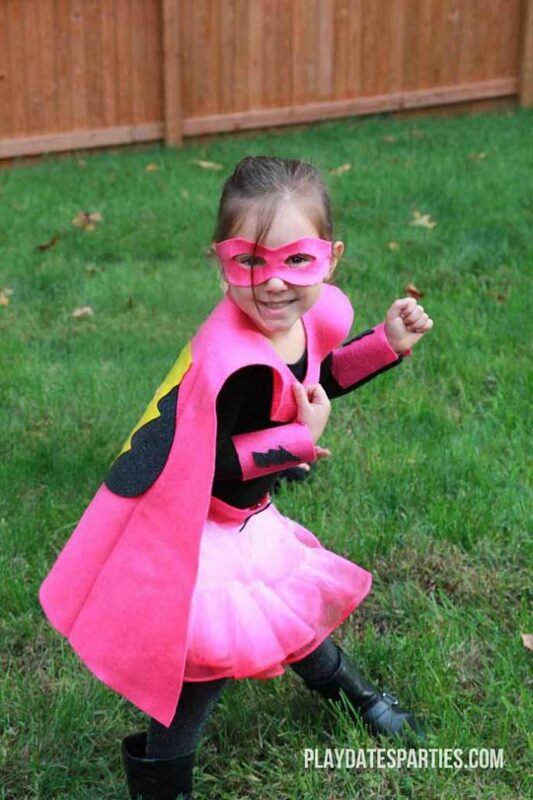 Here are 15 school-friendly last-minute Halloween costumes you can pull together with no time to spare! 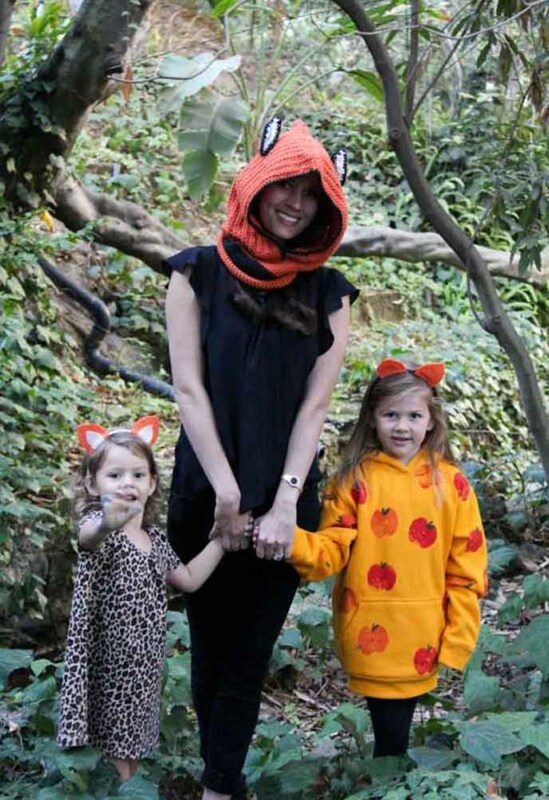 Does your kids’ school have Halloween costume restrictions? 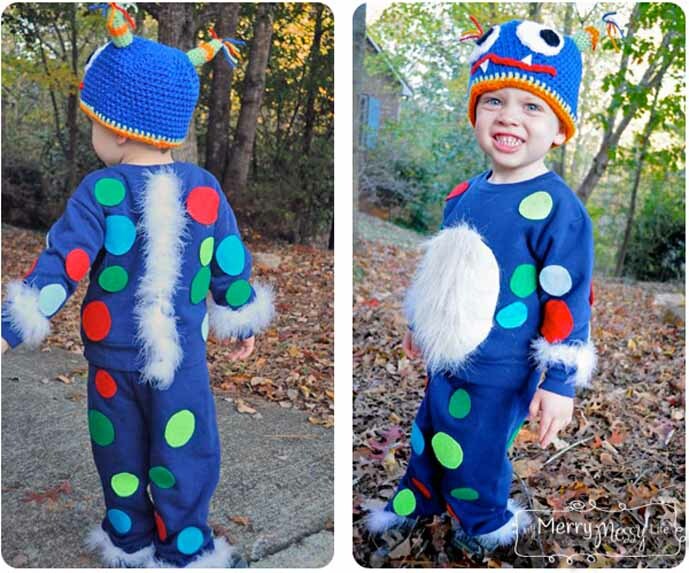 What costumes will your kids be wearing this year? These are all such great ideas. 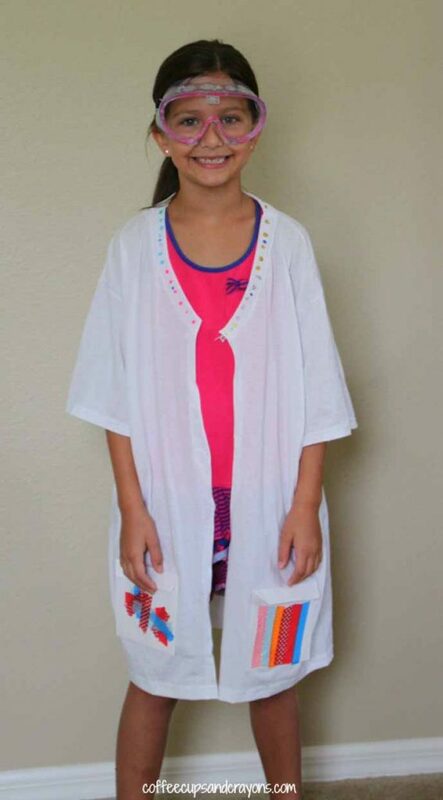 It is not easy to find a school friendly costume, you are right – looking over these I remembered a doctor’s set my son has complete with a surgeon’s scrubs and everything, So our problem is solved:) I really like the one with the rain cloud. I’d wear that! YesSounds like you’ve got a great plan in place! Great ideas! Pinning these for Oct 30th when I’m scrambling for a costume, lol. Found you on MMBH. 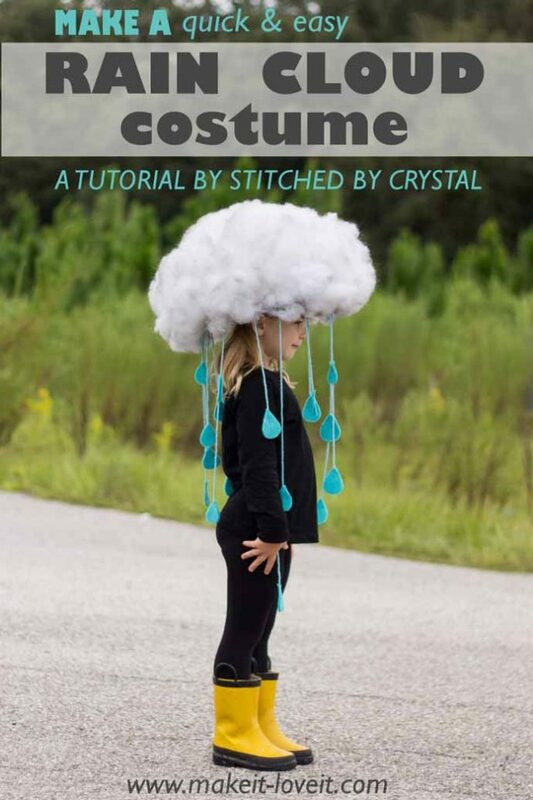 That rain cloud costume is beyond cute! Our school doesn’t allow the kids to wear costumes to school. BOO! Visiting from Show and Share party. Aw, man…no costumes at all? That’s a shame. Our kids can wear costumes through 5th grade. After that, they’re not allowed. Can’t say I blame the school on that one. Thanks for stopping by! These are so cute. I love the duct tape bug costume. I totally agree, mine have all left school now but when they were little they just could cope with anything that wasn’t like a fancy version of normal clothes for school. Not too many props, as they always loose them! Keep it simple really works. I like some of these pun ones, the honey lemon is brilliant. Yep, props always get lost or broken. Thanks for stopping by! 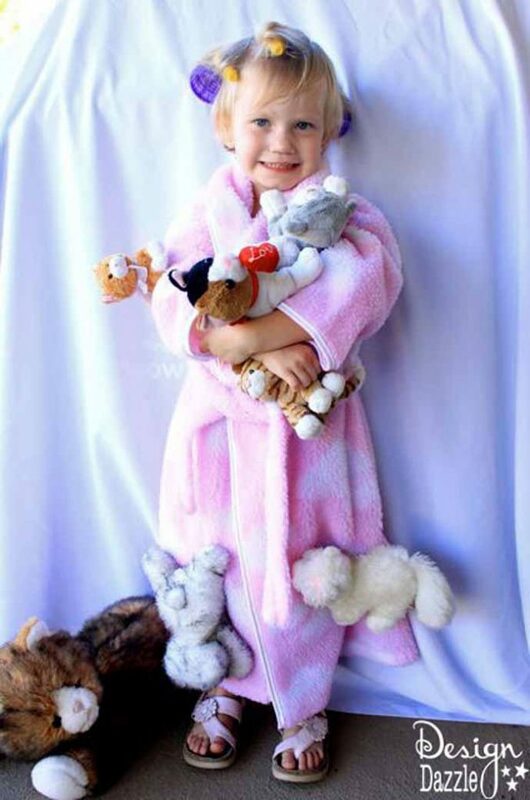 Lots of cute ideas here! My mom has always made costumes for the kids, but she’s had health problems this year and won’t be able to do it…so I’m on call! So sorry to hear about your mother. But it looks like she’s got a great backup available! Thanks for stopping by! Aww, so cute! This makes me wish my kids were little again. Thank you for sharing with us this week at Celebrate Your Story, and I hope your week is going great. Wow! It’s amazing the cleverness, but simplicity of these various costumes! I like all of them, but if I had to pick a fave, maybe the raincloud. 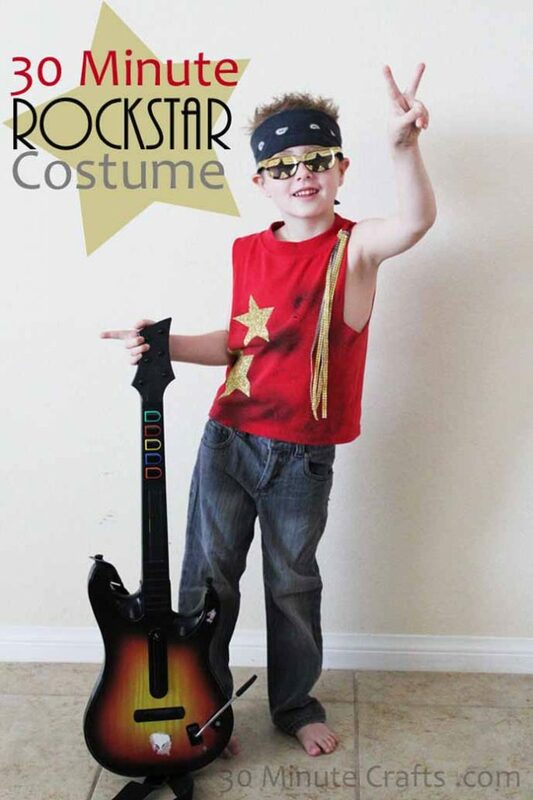 The kid in the rockstar costume. Before I even saw what it was, I thought “that kid looks like a rockstar.” Ha. Back when I was growing up (the dark ages of the 50’s), you couldn’t buy a Halloween costume very readily. Everything was made by mommas. Mine dressed me as a dressy witch. Looking back now, it was cute. At the time, I was embarrassed I think. Oh those awkward years. Oh my gosh, this brought back memories! One of my twins was obsessed with ninjas so he was a ninja 3 years in a row. Can you imagine trying to up the ninja costumes each year. The last year was the best and I wish I could post a picture of it. 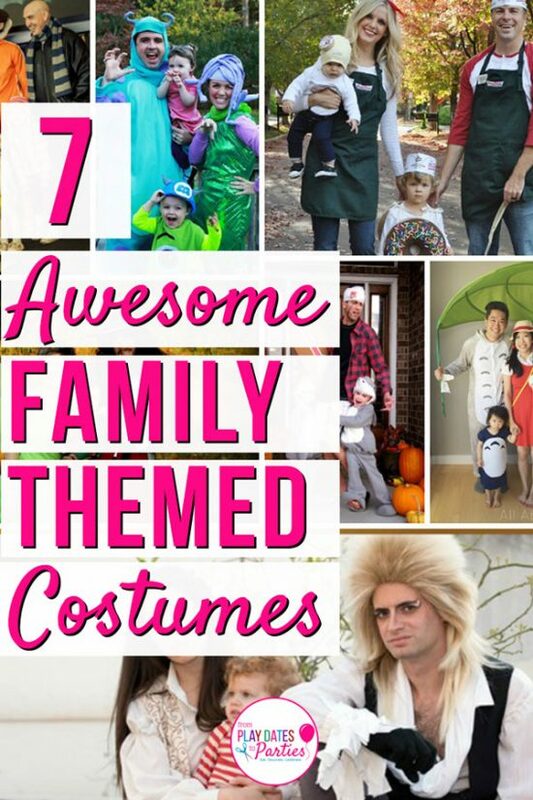 These are fabulous costume ideas. They are adorable and easy. Plus they look comfortable. Hi. 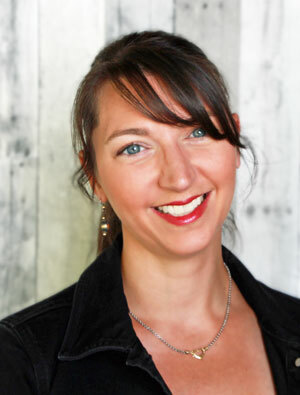 Just letting you know that Two Chicks and a Mom added your clever post as a special feature at Funtastic Friday 148 this week–hope you can stop by again! The cat lady!!!! I’m laughing!!!! Lots of great ideas here. I might even have my teen borrow one! The cat lady is amusing unless you are one I suppose. The rain cloud is adorable. I worked in family day care and dressed them up as scarecrows, hobos, that’s easy with overalls, one year I made a little boy a crayola crayon, with a red outfit and a paper cup on his head, yo need a large rubber band, and can’t wear it all day but it is cute for a picture. We used to rake leaves into those giant trash bags that look like pumpkins, they loved it. Because it was Christian daycare we even did Bible characters, they are not hard with a robe headscarf and a walking cane for a staff, great for a church event. These are really cute! 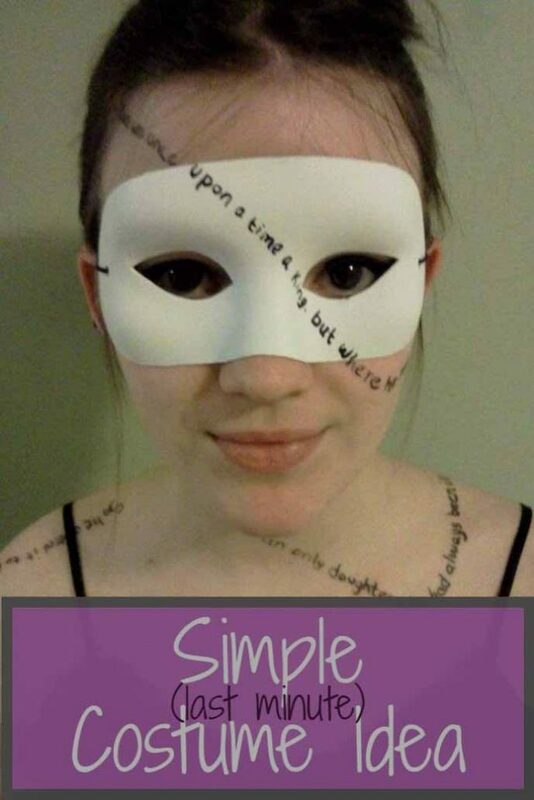 It’s always fun coming up with a costume that doesn’t cost a bundle! Thanks for sharing with SYC. Great ideas. 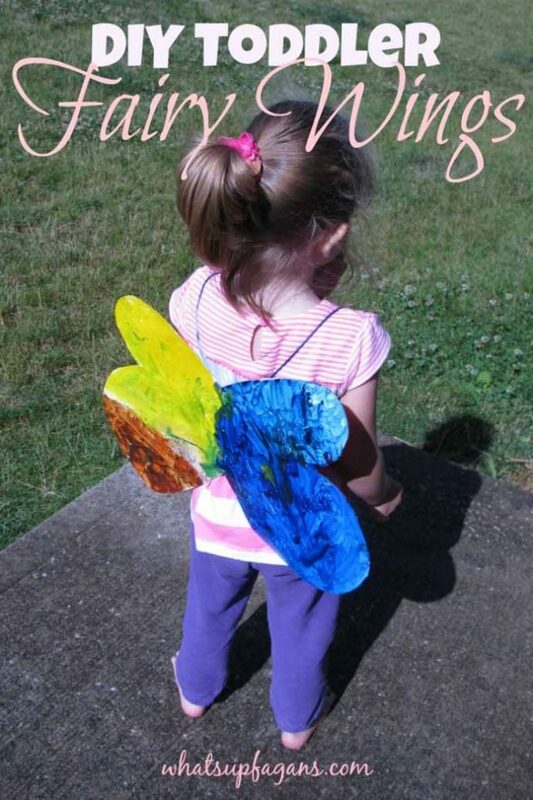 I used to be try to think of something to get the kids to pick their custom idea so it was not last minute, but one of them always was undecided until the last minute.